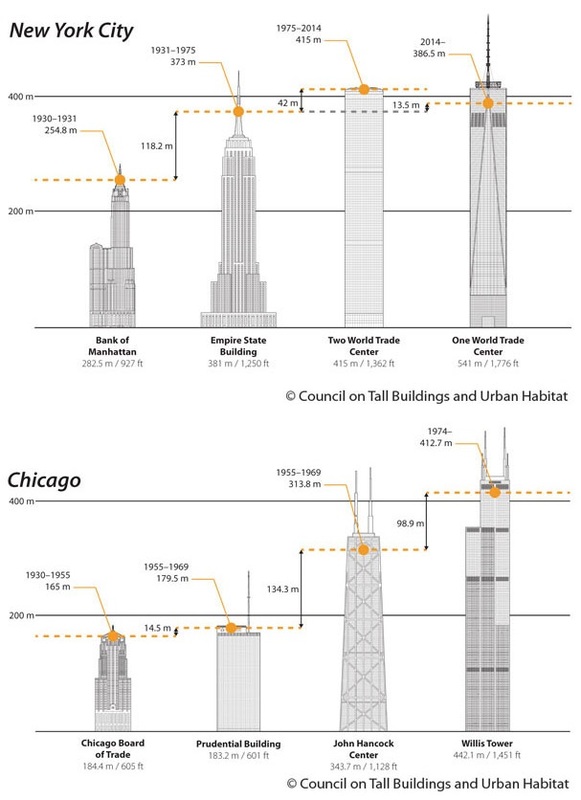 The Council on Tall Buildings and Urban Habitat has released a study about skyscraper observation decks and how they have evolved over the last 120 years of skyscraper design. 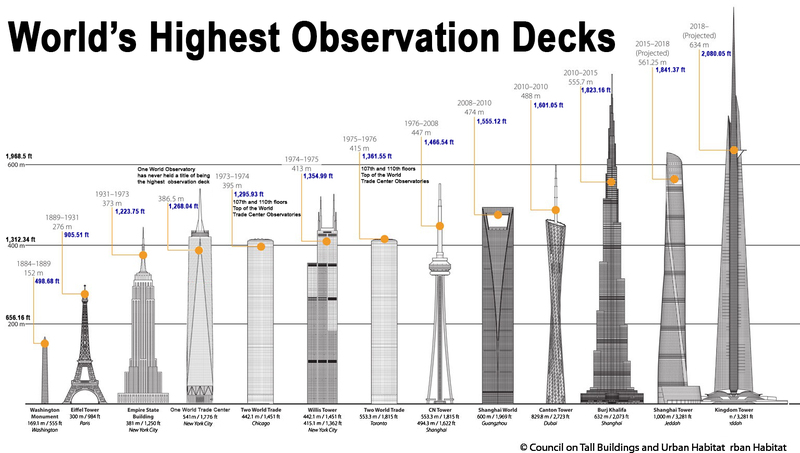 Perhaps no element of a tall building is more closely related to the pure pleasure of standing high in the sky and taking in the view of one’s surroundings than observation decks. 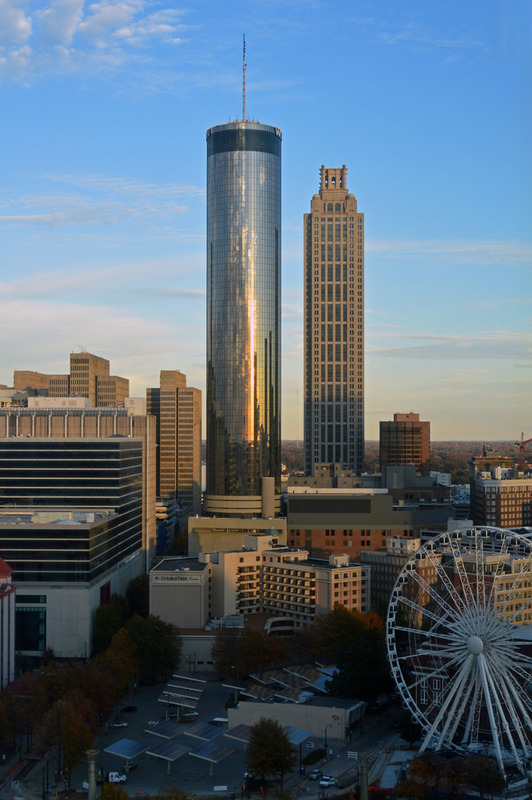 Often adding an important source of revenue for the structures that have them, observation decks also change the way people view cities, and can potentially elevate their international reputation. 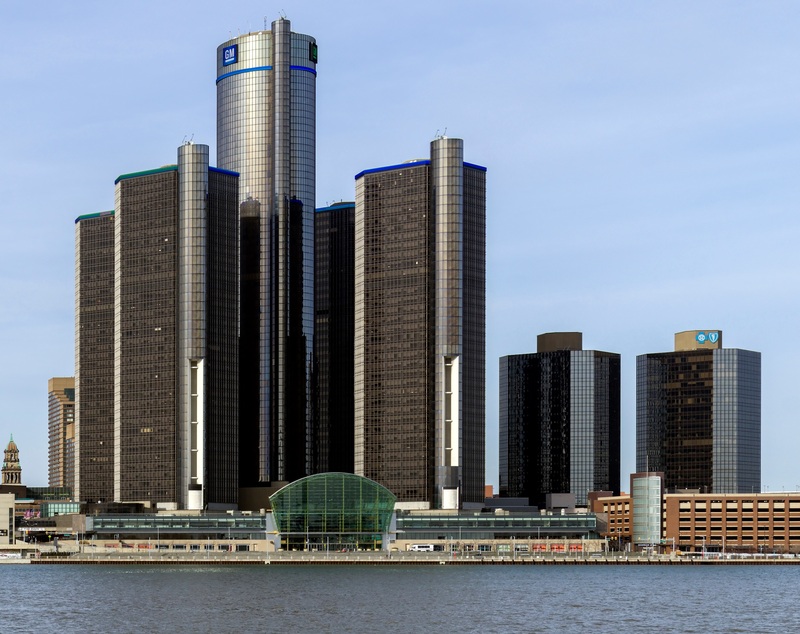 However, many operators don’t take the “pure pleasure of height” for granted, choosing to include all manner of amusements, from glass floors to roller coasters and bungee jumps. Here we take a look at the history and chronicle some of the histrionics of humanity’s obsession with height. Click images below to enlarge. Click your return arrow to return to this Dilemma X topic. U.S. Bank Tower, currently the tallest building in the West, will soon have an observation deck and sky-high restaurant catering to visitors to downtown Los Angeles. The deck, the first of its kind in Southern California, will provide visitors with a sweeping view of Los Angeles, stretching from the hills of Glendale to Catalina Island. 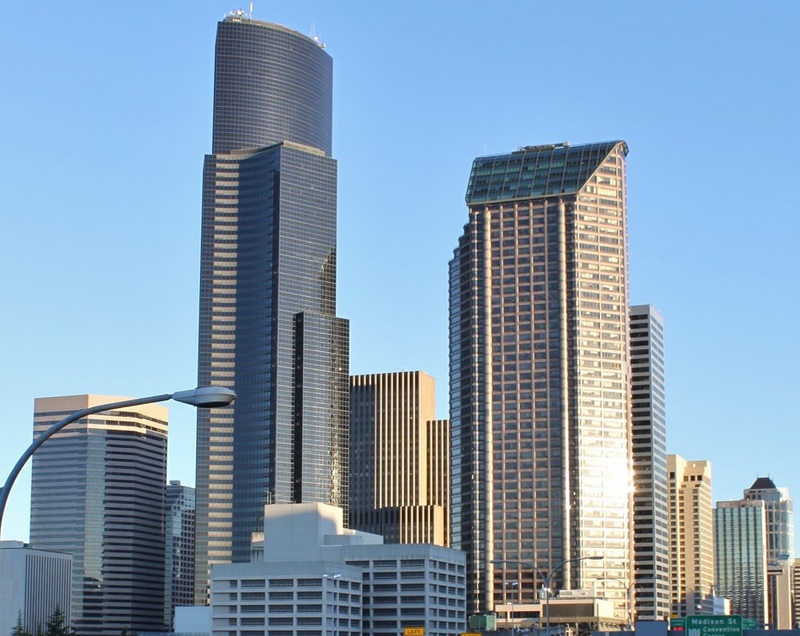 The 72-story skyscraper, completed in 1989, will remain an office building, the owners said Tuesday, but it will get about $50 million worth of improvements, including a makeover of the lobby. 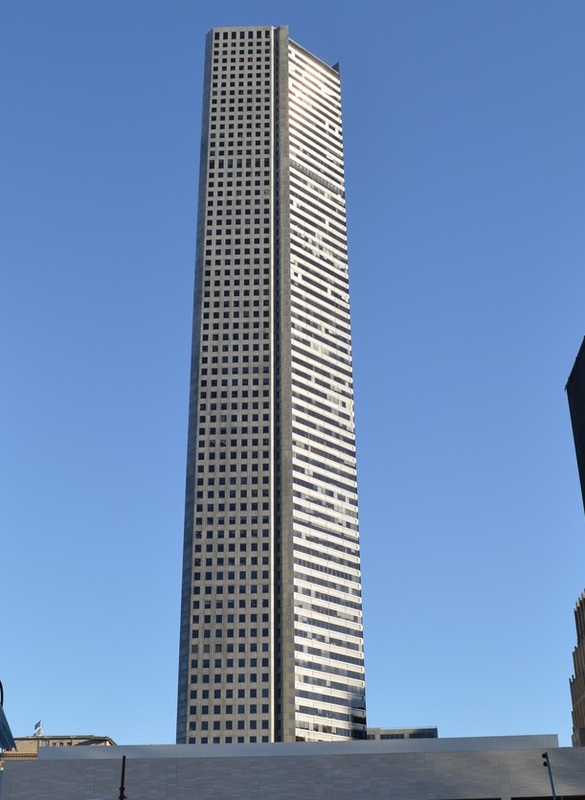 The top floor of U.S. Bank Tower is to remain offices for rent, but the 71st floor below it will become home to a restaurant. 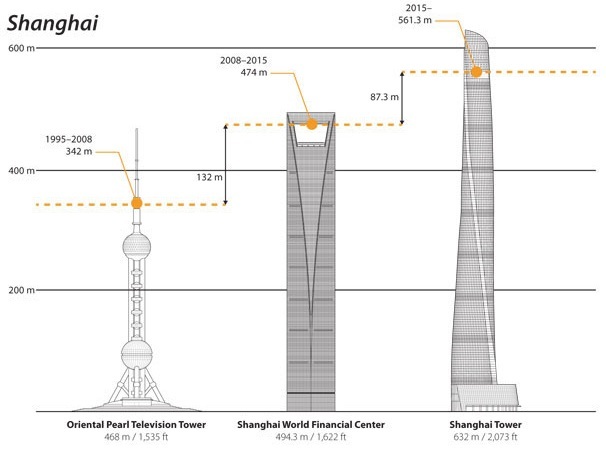 The 69th and 70th floors are to be connected by a interior stairwell and made into an observation and meeting space. The 69th floor already has terraces that will be opened up to form outdoor viewing spaces. Visitors can see past Long Beach to Santa Catalina Island on a clear day.